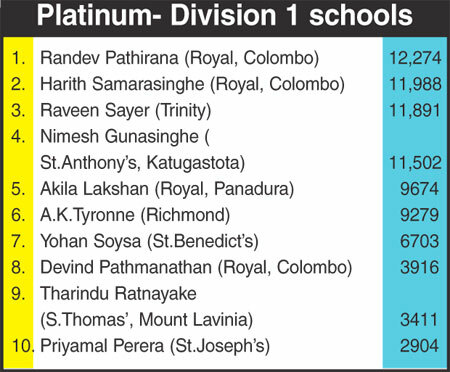 Randev Pathirana of Royal College, Colombo sprang back into the lead polling 12,274 votes to Harith Samarasinghe who had 11,988 votes against him a majority of 286 at the end of count number 5 in the Sunday Observer/Mobitel Most Popular Schoolboy Cricketer Of The year Contest 2014 in ther ‘platnum’ategory for division 1 schools. Pathirana who was placed fourth last week climbed to the top while Katugasthota Anthonian Nimesh Gunasinghe who occupied the number two slot last week dropped to number 4 polling 11,502. 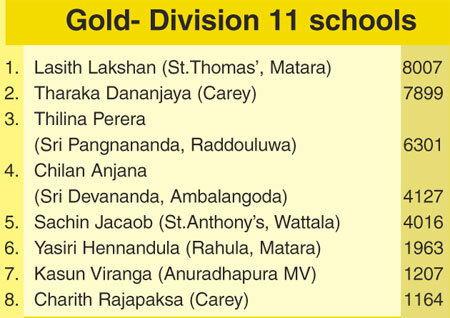 There were no major changes in the ‘gold’ segment for schools playing in the division 11, except for Chilan Anjana of Sri Devananda Ambalangoda moving one step up from 5th position to fourth and Kasun Viranga of Anuradhapura MV placed seventh. 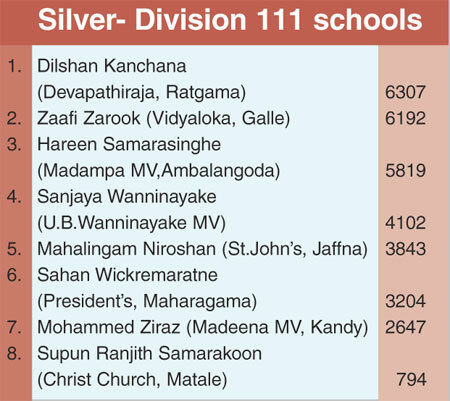 In the Silver contest Dilshan Kanchana of Devapathiraja College, Ratgama took the first place ahead of Saafi Zarook of Vidyaloka, Galle.